Join the thousands Holistic Acne Treatments Insider Newsletter subscribers who get RESULTS proven techniques straight to their mailbox and free of charge. Almost 100% of newsletters today are nothing more than ads for supplements with hardly any useful content at all. 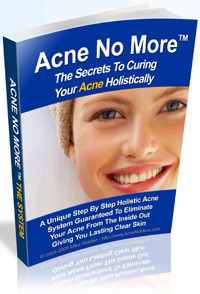 The Holistic Acne Treatments Insider Newsletter is different. This newsletter is one of a tiny handful of "CONTENT-RICH" newsletters on the Worldwide Web today. The newsletters are like a "secret vault" filled with acne cure and acne skin care gems. You'll get practical, useable tips, programs, routines and articles right at your fingertips in this virtual treasure trove of information. By signing up to my FREE newsletter, you will automatically gain from the thousands of dollars and 7 years of research, trial error and experimentation that I have spent (I STILL spend hours upon hours every month on testing and researching various acne treatments) only to receive the most powerful and practical acne tips to keep your skin clear of acne and achieve flawless complexion. MY personal promise: I will not send you weekly tired, ineffective and useless information. Instead you will get the most practical tips and useful advice, only when I have found something that I MUST share with you and a treatment that really WORKS, a tip or a treatment that you can use right now to cure your acne. Fill out the form below and you'll immediately receive FREE information on how to cure your acne and never suffer again. forever! Simply use your first name and a valid email address then click "Free Instant Access!"